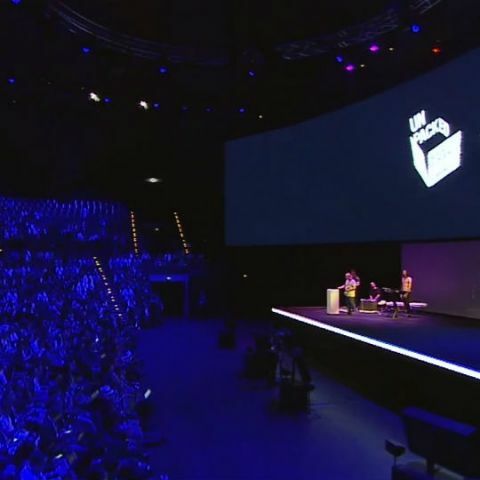 The IFA 2014 is officially underway and Samsung has set things in motion with the Galaxy Note 4, Edge and some wearables. The IFA week is underway and as is usual, Samsung has been amongst the firs to announce its new smartphones. Rumours about Samsung's Galaxy Note 4 had been doing the rounds for quite a while now and Samsung finally unveiled the device today at its Samsung Unpacked 2014 event in IFA Berlin. Here's what you need to know about each of these products. - The Galaxy Note 4 has a 5.7 inch Quad-HD Super AMOLED display with a 2,560x1,440 pixel resolution. It is powered by a 2.7 GHz Qualcomm Snapdragon 805 SoC and has a 16 MP rear camera along with a 3.7 MP front camera. The device runs on Android 4.4.4 KitKat OS and also sports a heart rate monitor like the Galaxy S5 and runs on a 3,220 mAh battery. - The front camera on the Note 4 has a 90 degree viewing angle with a panorama-like mode. This helps you cover more area when taking selfies etc. - Samsung also about the fast charging feature, which allows users to charge the battery from 0% to almost 50% in half an hour. - The camera on the Note 4 also features the optical image stabilisation feature, which is a first for Samsung. - The Note 4 also has a metallic frame along the sides. - This is basically the same phone as the Note 4, but it has a curved display, which bends on one side of the device. This creates a thin new screen, which can be used for app shortcuts, notifications, video playback, camera control etc. - The device is the first of its kind from Samsung or any other manufacturer. - The Samsung Gear S smartwatch runs on the company’s Tizen platform and has a 2 inch AMOLED display along with a 1GHz processor, 4 GB of internal storage and 512 MB of RAM. - It also has a heart rate sensor, UV detector, barometer, gyroscope, accelerometer and GPS Sensor. - The Gear S can hold a SIM card and has its own 3G modem. This allows users to make calls through the watch, using the Samsung Circle Bluetooth headset. - Interestingly, while the device is designed to exist separately, you need a Galaxy smartphone to set it up initially or download apps on it. So, you can’t actually own the Gear S without a Galaxy smartphone that is supported by it. - The device also sports a curved display. - The Gear VR is Samsung’s virtual reality headset, powered by Ocullus Rift. - The Galaxy Note 4 needs to be fitted into the VR headset in order to access content and give it a screen. - This gives the Gear VR a Quad-HD screen as well. - Samsung has partnered with the likes of Marvel, Cirque-de-soleil, IMAX, Dreamworks and many others for content on the Gear VR. While the smartphones and smartwatch will be available in October, Samsung didn't announce when the Gear VR headset will be made available commercially.